Scientists Exploring the Arts at Toni Braxton! It isn’t often that a group of over 50 scientists and engineers put away their lab coats and come out to a live performance together. But then again, it happens twice a year at State Theatre New Jersey! 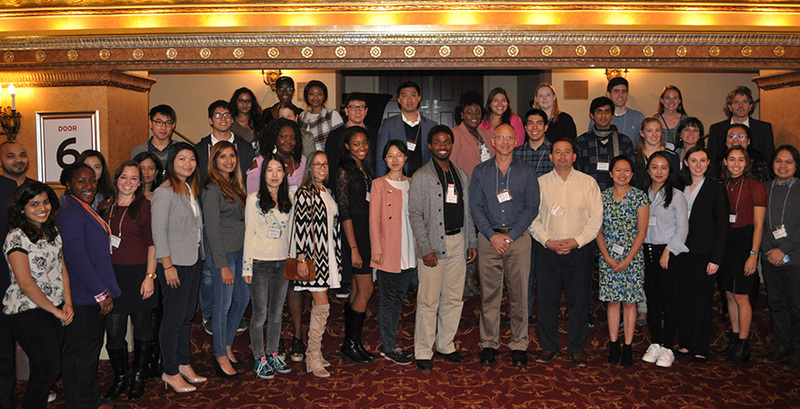 As part of Scientists Exploring the Arts, a free program for college students made possible through the generous sponsorship of Ingredion Incorporated, a leading global ingredients solution provider, 41 college students attended last Sunday’s performance by Toni Braxton. The students came from a host of different disciplines at Rutgers University and The College of Saint Elizabeth, including Biological Studies, Chemistry, Food Science, Computer Science, Business, and various fields of Engineering. We even had a budding neuroscientist! Before the performance, students were treated to dinner and a networking session in the Heldrich Room, our beautiful second-floor lobby. There they had a chance to learn about Ingredion Incorporated in an informative presentation by Joseph Light, the company’s Vice President of Global Development and Ingredient Technology. Over dinner, students chatted with Ingredion employees representing different aspects of the company’s operations, allowing them to connect with professionals in their specific area of study—as well as with other students with similar concentrations. The real surprise for the students came from Jacqueline LaFleur, an Ingredion employee who joined the company through her participation in Scientists Exploring the Arts five years ago. Jacqueline is now a Technologist in Ingredion’s Technical Service department, and experiencing the program from the other side. But what about the arts? To round out the evening, State Theatre New Jersey’s own Brian O’Boyle, Vice President of Programming & Executive Producer, dropped by the event. He delivered a pre-performance “Exploration,” a fun, behind-the-scenes look at his role: working directly with artists and managers to book the events that appear on the State Theatre stage. Afterwards, everyone headed into the theater for Toni Braxton’s stellar performance. Thanks to the ongoing support of Ingredion, the entire Scientists Exploring the Arts experience—dinner, networking, presentations, and the performance—is free of charge to participants. Our next Scientists Exploring the Arts program is coming up this spring. If you are interested in attending, please contact education@statetheatrenj.org or visit the Scientists Exploring the Arts page!